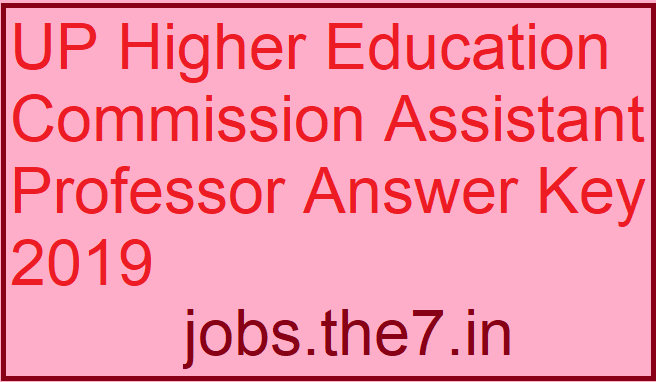 UP Higher Education Commission Assistant Professor Answer Key 2019 - Government Jobs, Sarkari Naukri, Sarkari Result, Admissions, Rojgar, Exams Alerts. 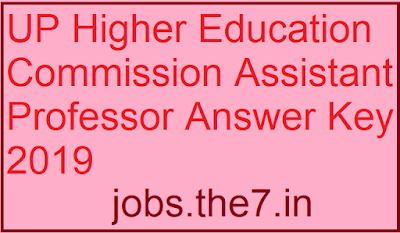 Uttar Pradesh Higher Education Service Commission has recently released the Answer Key for Assistant Professor. Examination was held on December/, 2018 itself. Candidates are required to check their Answer Key provided .Candidates is suggested to download their Answer Key for evaluating their performance in Written Examination.